Summary: When a mole discovers a lush, green meadow, he decides to make his home there. He’s not alone for long. Soon other moles join him, and the underground community grows. As more and more moles make set up housekeeping, technology starts to move in as well, with machines helping the moles to move dirt, build infrastructure, and entertain themselves. Eventually, the lush, green meadow has turned brown and barren, except for one small patch of green that still remains. Is it too late to save it? The endpapers show The Moletown Times headlining “Agreement on Green”, but it’s uncertain if that will save the moles’ world. 32 pages; ages 4-10. Pros: This nearly wordless picture book (there’s text only on the first and last pages) raises timely issues in a mole world that parallels humans’. 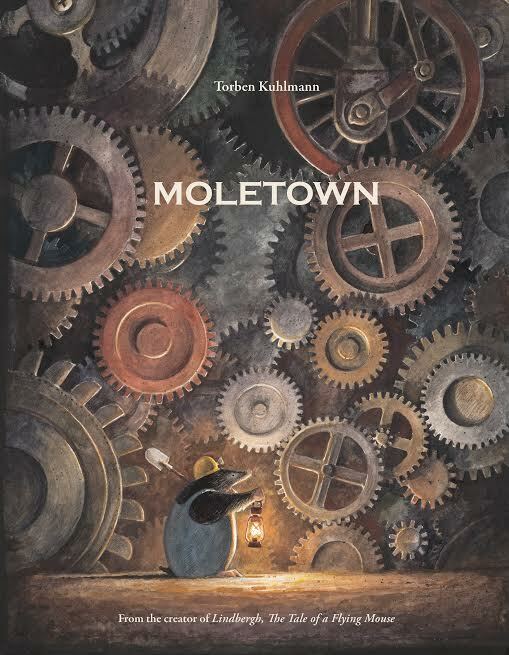 The illustrations are stunning, all done in shades of brown, picturing tons of details in Moletown. 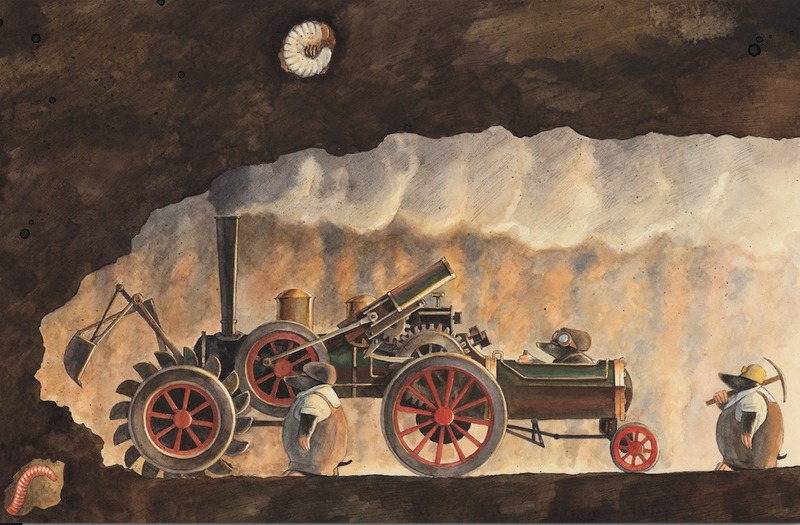 Kids will have fun poring over the pictures, and the message is accessible enough to engender discussion with the youngest readers. Cons: Little brings me down faster than a global warming allegory.